Gluten Free is it for me? Have you ever went food shopping and saw a gluten-free product, thought to yourself “oh this is healthier!” buy it and didn’t even know what gluten is? Well if you have, you are not alone, I will be honest I am guilty of this situation if not once a couple of times. So let’s clear the air on what is this gluten we speak of! Gluten is basically a protein that can be found in wheat, barley and rye products. I was guilty of buying gluten-free products thinking they were healthier alternatives but didn’t know what gluten was. This happened before I was diagnosed with Celiac Disease earlier this year. This has dramatically changed my lifestyle in every way I eat. Not only do I have to change products at home but also going out to eat has changed for me. Following the gluten-free diet and not having any intolerance towards gluten or have celiac disease has become pretty popular lately. To be exact, the years from 2011-2016 sales in gluten-free products have significantly increased 116% (2). While sales increase 116% within 5 years, according to the Food & Function Journal, people in the US with celiac disease are .71%. 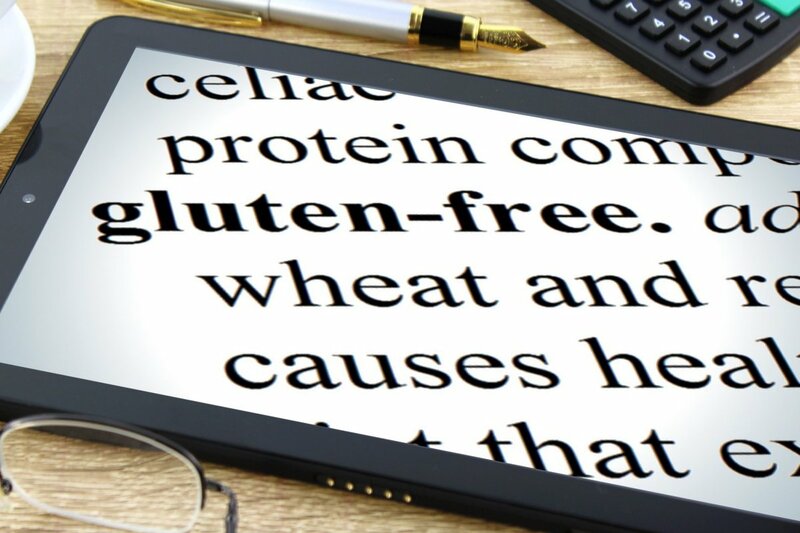 The real question that keeps popping in my head is, “Does someone without any health conditions towards gluten even benefit from a gluten-free diet and is it healthier? A study was conducted on campus in Phoenix, Arizona this year to compare glycemic levels between people who consumed gluten-free pasta versus traditional pasta (2). This study was considered to be a double-blind randomized crossover trial (2). At first, the study had 16 participants that volunteered (2). Before the study was conducted 2 people withdrew and halfway through the study another person withdrew (2). That left the study 13 subjects to figure out the difference between gluten-free pasta versus traditional wheat pasta (2). The 13 people’s ages ranged from 19-55 years old with three people being obese (2). All of these adults were considered healthy; people with prior health conditions were not accepted (2). Meals in the study consisted of 80g of dry elbow pasta in salted water, with 4 TBS of butter, ½ cup of 2% milk and 20 g Kraft processed cheese sauce. People who ate gluten-free pasta there was 3 different kinds of gluten-free pasta ( brown rice pasta, rice and corn pasta, and corn & quinoa). Blood insulin was measured in venous blood and portable glucose check monitor measured capillary blood glucose. Results: Glucose scores for gluten-free diet pasta were 14%, 18% and 47% above traditional wheat pasta (2). Misinformed people think that following a gluten-free diet is healthier but the study shows a gluten-free actually raises your glucose levels significantly. Gluten and celiac disease go hand-in-hand, not in the pleasant way but there is a relationship between them. Celiac Disease is a digestive disease that damages the small intestine as well as interfering with the absorption of nutrient (1). Not only do people with celiac disease have to avoid gluten ingredients in their food, they must also look out for gluten in medicines, lip balms and vitamins (1). Celiac disease is considered an autoimmune disease. Which basically means that a process that is usually normal (person w/o autoimmune disease), someone with an autoimmune disease’s body thinks that this process is dangerous and their immune system responds by attacking (in this case) the villi (in the small intestine for nutrient absorption). If villi in your intestines continue to get destroyed then it may lead to malabsorption since the villi help with nutrient absorption. The good news is celiac disease is very rare. If you don’t have the disease and are not sensitive to the gluten protein, you don’t need to go gluten-free. Remember, protein is very important in our diets. I personally did not have a good doctor so I had to find a new one along with educating myself on this disease. I learned that not only is gluten found in food but also items such as toothpaste and shampoo. That really blew my mind, who would’ve known! For more informative articles, be sure to check out the Fill Your Plate blog. New articles are posted every Monday, Wednesday, and Friday. This entry was posted in Cooking, Diet Tips, Fill Your Plate, Food, Food Facts, Fruit, Gluten, Grain, Grocery, Health Tips, Healthy Eating, Recipes and tagged Arizona, Celiac, Disease, farming, food, Free, Gluten, Health, local. Bookmark the permalink.